Pro wrestling is popular entertainment for both kids and adults, so a WWE party theme may be the perfect choice for a birthday party or viewing party. A WWE, or World Wrestling Entertainment, party is a great theme party for kids of any age who are fans of the fabulous pro wrestling characters. If your child is a fan of any of the characters, this could be a perfect sub-theme to the WWE party. Otherwise, host a WWE party for kids that utilizes all of the wrestlers and their talents. Keep in mind that WWE party themes do not have to be just for boys. Host a WWE party for girls that feature the WWE Divas, or include the Divas in your party plans so everyone feels included. Decorating for a WWE party is fairly simple, and your child's toys and collectible items could provide most of the décor. Hang posters in the main party area, and set out memorabilia from events attended and merchandise like hats and shirts. When doing a WWE theme for a particular wrestler, use his costume colors for table place settings and streamers. Pick up a few small balloon bouquets featuring WWE wrestlers from a local party supply store. Setting up a "training camp" for wrestlers is a great way to burn off some excess energy. Set it up like a typical obstacle course with a few tweaks for wrestling thrown in. For example, pick up some cheap plastic folding chairs and have kids try to throw them as far as they can. Just be sure to supervise so there are no accidents. Crafts can provide a great way to help bring the activity level down, so plan for everyone to make their own championship belts or masks. Set out plenty of embellishments like rhinestones, metal studs, leather bits, fabric and washable paint, and let the kids create their own pro wrestling characters using the belts and masks. If you have the budget, consider hiring a party entertainer to come and speak with kids about wrestling. This could be a costumed character who looks like one of the favorite WWE wrestlers or someone who has his or her own fictional wrestling persona. Finally, have an area set up for playing with WWE toys after the food has been eaten and the children are waiting to be picked up. Toys and games from your own child's collection can be set up in one area of the party space. If you don't have enough toys to go around, consider putting in a video of a WWE event for kids to enjoy while they wait for parents to pick them up. The menu for a WWE theme party should include a lot of favorite kids' party foods. Chicken nuggets, hot dogs, carrots and celery with dipping sauce, and gelatin are fast and easy choices. For a birthday party, make sure you have a delicious cake with a design theme for WWE. Purchase a decorated cake from a grocery store or local bakery with a WWE theme featuring your child's favorite character. Make one yourself at home by picking up a wrestling ring cake kit from Amazon.com. Send out invitations to a special viewing of a WWE event. Find the WWE viewing schedule online. Ask everyone to wear their favorite WWE shirts to the party. Have the party in an area where it doesn't matter if fans get overexcited during the viewing. For example, a basement family room or even a fixed up garage gives a manly feel to the event and keeps things clean in the rest of the house. Serve party foods that are easy to make and eat. Chicken wings with sauce, pizza and potato chips are perfect choices. As an added bonus, have a protein shake bar set up. Set out a couple different protein powders near a blender with water, juice, milk, berries, bananas, spinach and other healthy add-ins. 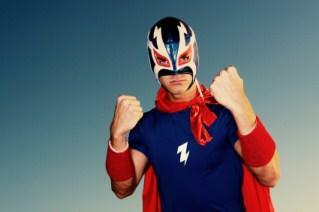 Any WWE party theme, whether for adults or kids, is enhanced by special party supplies featuring the wrestlers. Check out the WWE Shop for a party pack and other fun WWE items for a themed party.